A perennial with simple or branched square stems, sometimes creeping. Flowers in tight, cylindrical spikes, blue, lavender, or violet, the upper lip hooded, covering the stamens, the lower lip 3-lobed with the center one fringed. Flowers are subtended by tiny leaflike bracts that are often purple-tinged. Blooms May-September. Leaves opposite, ovate-lanceolate, on petioles, to 4 inches long, often with shallow teeth and wavy margins. 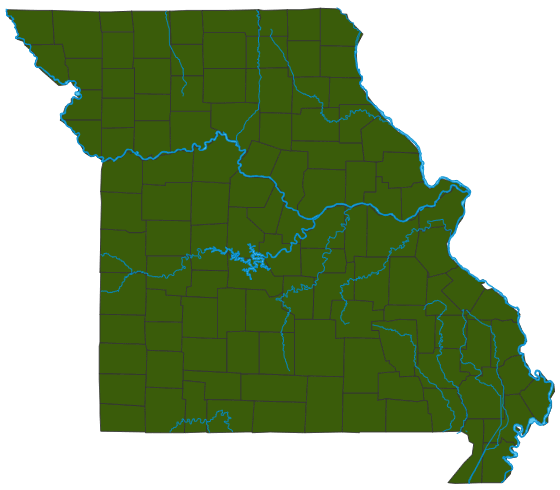 Similar species: Two subspecies grow in Missouri, one native and one introduced. P. vulgaris var. vulgaris, common self-heal, is a native of Europe introduced throughout the Northern Hemisphere. P. vulgaris var. lanceolata, lance-leaved self-heal, is native to North America. It has narrower leaves that taper (are not rounded) at the base. Height: to 1 foot; can be much shorter in places where it is mowed. Occurs in low and open woods, along streams, forest borders, waste places, fields, and along roads and railroads. This species has a long history of medicinal use in the Old World and in America. Tea made from the aromatic leaves has been used to treat sore throats, wounds, digestive upset, and a host of other ailments. The leaves can be eaten raw in salads or cooked as a potherb. Bees, butterflies, and other insects visit the flowers. Apparently herbivorous mammals find this plant unpalatable.